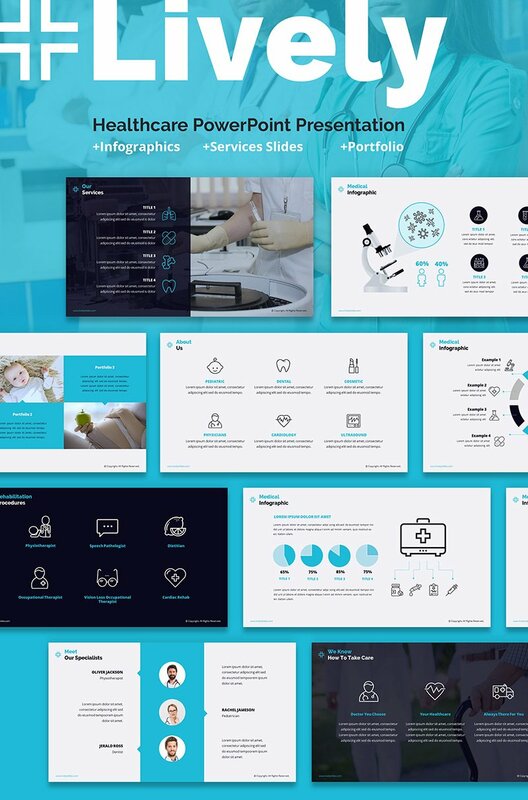 This well-designed PPTX Template will help you to create a structured presentation for your medical center or any healthcare related business. 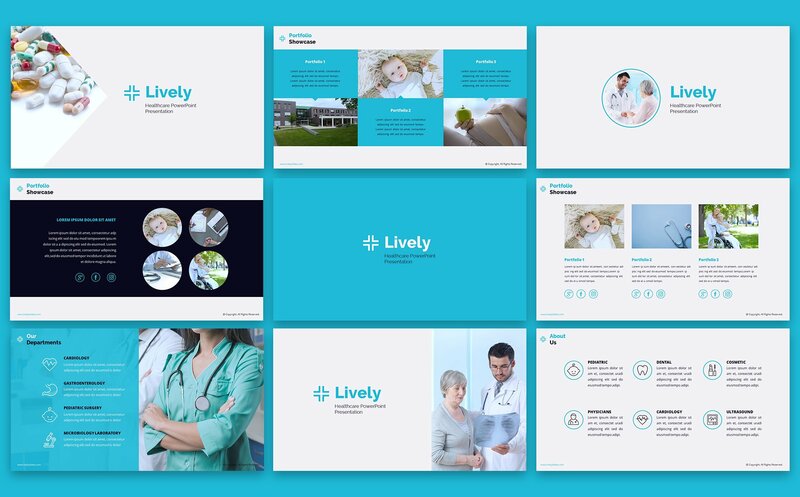 Lively Healthcare PPT Slides includes 50 unique slides plus a slide with Icons. 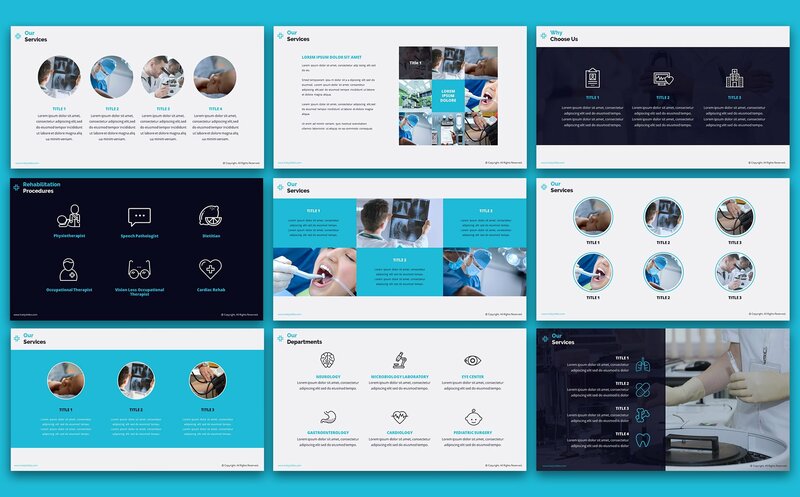 There are all sections that you may need to complete a presentation of your company, departments, specializations and contact details. 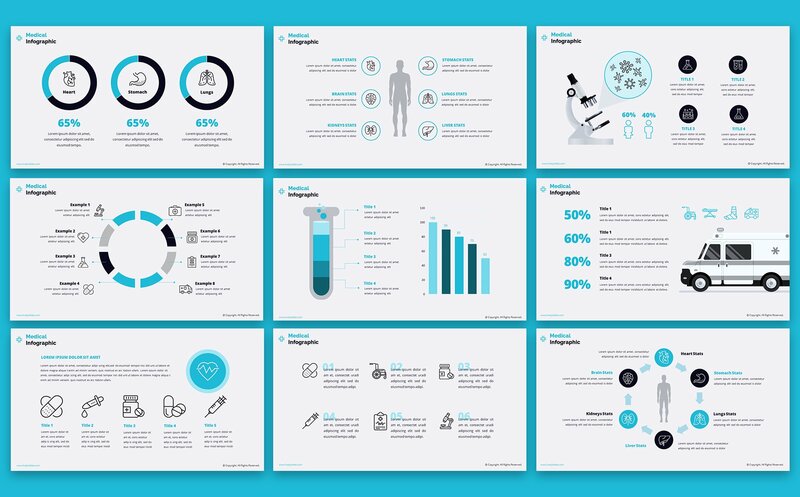 Use any of pre-designed infographics included into this healthcare PowerPoint design to make your presentation informative and impressive. Clean, neat and eye-catching design with perfect typography. You are the best, as always. Thank you for the quality product !